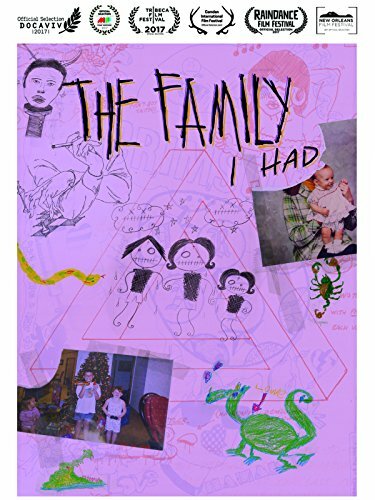 The Family I Had (2017), a documentary film by Katie Green and Carlye Rubin, explores a true crime story and its profound implications for the victim, the victim's family, and the perpetrator. It shines a light on the juvenile justice system, and mental illness. Green and Rubin have woven together many visual elements to create a compelling film where murder meets misery, anguish, heartbreak, and redemption. The documentary is well-crafted making use of diverse angle shots, editing techniques, first person interviews, third-person interviews, archival footage, archival news footage, still photography, animated stills, voice-over, and incorporates footage shot over several years to create a compelling and powerful film about the loss of family due to an egregious crime, and recounts the suffering and pain of a brave, courageous, candid and grieving mother. Green and Rubin have juxtaposed the narrative of the crime with its aftermath of destruction against the backstory of the victim, the perpetrator, and mother of the victim creating dramatic tension that moves the film. Some scenes were not only difficult to watch but heart wrenching as well, including the recreation of the crime itself, and the mother of the victim listening to the 911 call. It’s a balanced documentary for the filmmakers explore the crime from the perspective of the mother of the victim, the grandmother of the victim, and the perpetrator, and how it has affected and shaped their lives. The documentary resonated with me on many levels. I suffered when I learned on two separate occasions that a former classmate and a work colleague were brutally murdered. The shock led to tears and then anger, and dismay. The documentary reminded me of the impermanence of life and how acting on a bad thought can lead to irreparable harm and personal devastation. The film raises many interesting questions about the juvenile justice system. Did the reprehensible nature of the crime create undue bias and influence the judge and jury in the sentencing? The sentence appears excessive given that the perpetrator was a teen when he committed the egregious act. Most importantly, is the perpetrator best served without proper emotional and mental health counselling and rehabilitation? The directors have succeeded in creating an intimate portrait of a family torn asunder by murder and depicted its aftermath of destruction. It is well-written, edited and directed and deserving of your attention. The documentary has tremendous educational value and in my opinion, can serve as a vehicle to promote social change and understanding.